Sending our warmest thoughts and best wishes for a December filled with happiness. May the coming month fill your home with joy, your heart with love & your life with laughter. I woof you woof we all woof for ice cream! Our favourite furry friends came to visit us in Swindon this weekend, they love a good old sing song to our chimes. Do you think they deserved their ice creams? We do!! Do you have any pets who love ice cream as much as this muttley crew? What a great way to start the week! Swindon College's lecturer Belinda, hired Raffaele's Ice Creams to treat her hardworking students to a delicious freshly made whippy! Belinda took advantage of hopping inside the ice cream van and served everyone, she's a natural! Belinda Swindon College's Lecturer a true natural! Calling all Savvy Brides-to-be! We're Whitewed Approved! Check out our Whitewed Directory certificate below! Last week I had the privilege of serving ice creams to Swindon Town Football Club. STFC are celebrating the 20th anniversary of Clive & Jon delivering the STFITC Holiday Development Course for young children. It was a fulfilled day, we had our Match of the day chimes playing and everyone enjoyed the fun and excitement of the ice cream van hire - this is what this business is all about, bringing smiles to everyone - good times!!! England's biggest inflatable theme park is back at Swindon Rugby Club in less than 2 weeks time. Please invite all your friends, Amazing value and a great day which can be enjoyed by all! 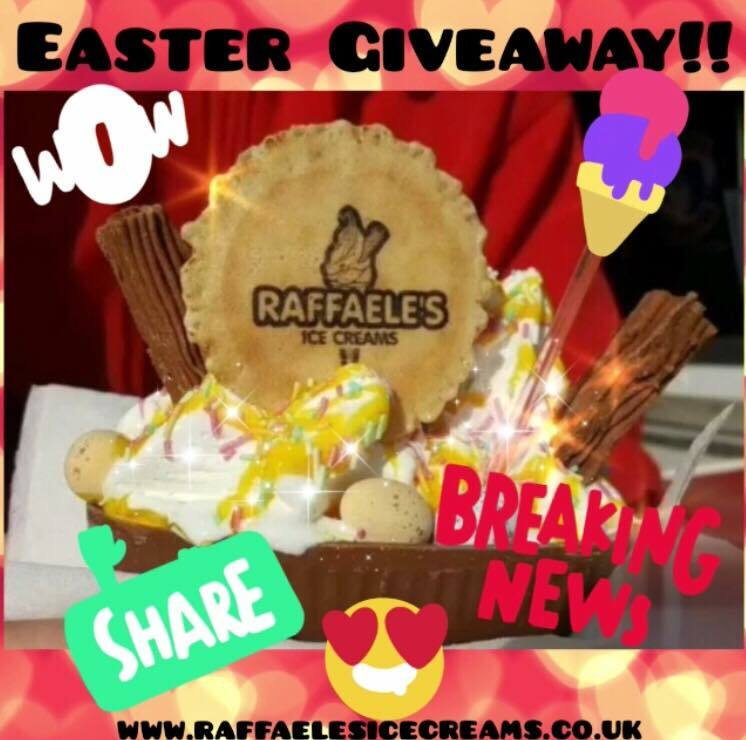 Raffaele's Ice Creams goes to London!! Corporate Hire - Let the boss serve the ice cream!!! Do your company employees and clients need a delicious treat? If you are a business or employer why not hire one of our immaculate vans for your corporate event. We can serve your hardworking employees or clients delicious ice cream served the Raffaele way!!! Not only will it boost their work productivity but their work morale too!!! Why not let the boss serve the ice cream? 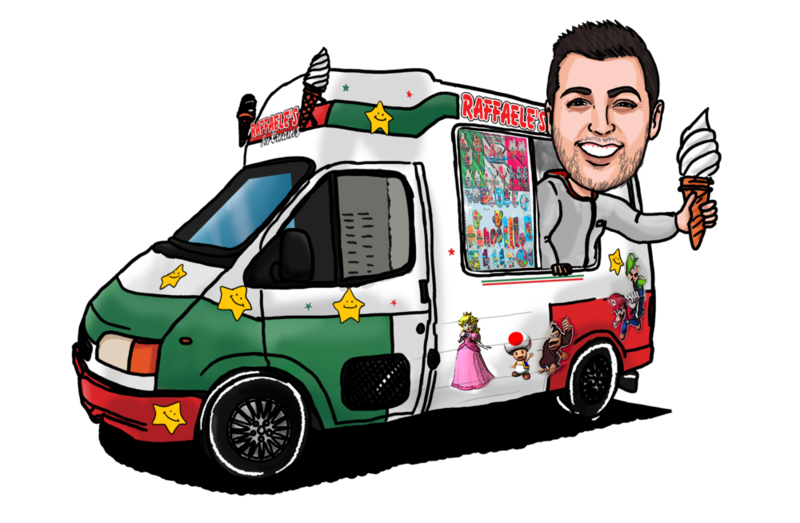 Raffaele’s ice creams can come to your factory, business premises or office where your staff can be treated on you!!! Contact us today to discuss your corporate event tailor made package!!! Wedding Hire – The icing on the cake!!! At Raffaele’s Ice Cream Van Hire in Swindon we know that your wedding day is one of the most important days of your life. We go above and beyond to bring you a seamless service. We want you to sit back and relax knowing that you and your guests will be tucking into delicious, fresh quality ice creams, lollies and scoops!!! Why not have “here comes the bride” chimes play to let your guests know our delicious ice cream has arrived. Fancy a unique topping on your ice cream (adults only) why not add alcoholic sauces, we supply – Amaretto, Pina Colada, Champagne and Cider. If that’s not enough we will let the bride and groom hop inside the van and serve ice creams and have pictures taken. We will make sure your guests go away raving about your day!!! Contact us today to discuss your bespoke wedding ice cream package. This weekend Raffaele's Ice Creams had the privilege to provide the young players and parents of the Swindon Town FC Tournament and Festival of Football, with our wonderful fresh ice creams! For many years we have worked along side Swindon Town FC which has always been an absolute pleasure. This years festivals aim was to raise funds for their community projects in Zambia and to help develop the beautiful game in that part of Africa. Thank you to everyone who entered our competition and for sharing our new site, we have had wonderful feedback and are looking forward to tantalising your taste buds with some new and exciting products - watch this space! Grab yourself a free knickerbocker glory of your choice! As a big thank you to all our lovely loyal customers we're launching the Raffaele's Loyalty card. Every time you buy a Knickerbocker glory from Raffaele's ice cream van, you’ll get a stamp! Once you have 10 stamps we're reward you with a FREE Knickerbocker glory of your choice!! Excited? We are! Check out our latest video of the Minions discovering who Swindon's Number One Ice Cream Van Hire is! We've got a reason to celebrate!! We are pleased to reveal our newly designed website is here, feel free to take a peek! We have worked hard to create a website that works for our customers & is easy to use. We encourage you to visit & explore the site so we can introduce you to our services & our amazing treats that we have to offer. For the first time we have created an easily digestible & navigable site that reflects Raffaele's Ice Creams as a whole. Our new website, aside from being aesthetically pleasing, is more agile, interactive, & is easier to read & navigate, enabling you to find what you need quickly. Just as importantly, our values & propositions are evident & clear. One of our main goals we wanted to achieve when designing the new site was to help you get to know us better & get a feel for who we are as a company. We are now using a responsive design, which means that you’ll see essentially the same design optimized for your smart phone, tablet & desktop. So to celebrate the launch of our shiny new site we are going to give away a Knickbockerglory & a Boat Sundae to a lucky winner who shares this blog post on Facebook. All you have to do is LIKE & SHARE this blog post its as easy as that & on Monday 16th May we will randomly select a lucky winner! We hope you will visit the new website and enjoy it as much as we've enjoyed creating it! !